We have just concluded a wonderful few days of meetings in Lilongwe, Malawi, to launch our new project, GeoNutrition. Professor Martin Broadley, University of Nottingham, addressing the participants during the launching of GeoNutrition project, Lilongwe, Malawi, Janauary 2018. In Malawi, more than a third of children are stunted, in part to deficiencies of zinc and other mineral nutrients in the diet. A lack of mineral nutrients, including zinc and selenium, in the diet can also increase the risks of infectious diseases. Mineral nutrients are taken up naturally from soils by the roots of crop plants, the nutrients then move into the grains, leaves, and fruit that we eat. We are what we eat! Many Malawi soils have naturally low levels of mineral nutrients. This means that the roots of chimanga (maize) crop does not take up enough of these minerals from the soil to make our nsima sufficiently nutritious. When we eat enough nsima we might feel full, but we may have not been properly fed. These micronutrient deficiencies are called ‘hidden hunger’. Researchers from Malawi, including soil scientists, human nutritionists and ethicists, are playing a leading role in a major new research project funded by the Bill & Melinda Gates Foundation. The GeoNutrition project is worth a total of almost $6 million dollars based primarily in Malawi and Ethiopia. The aim of GeoNutrition is to provide new evidence to support policy makers from the agriculture and public health sectors address micronutrient deficiencies in the wider region. It will also support new doctoral level students to be registered in Malawi and Ethiopia universities. 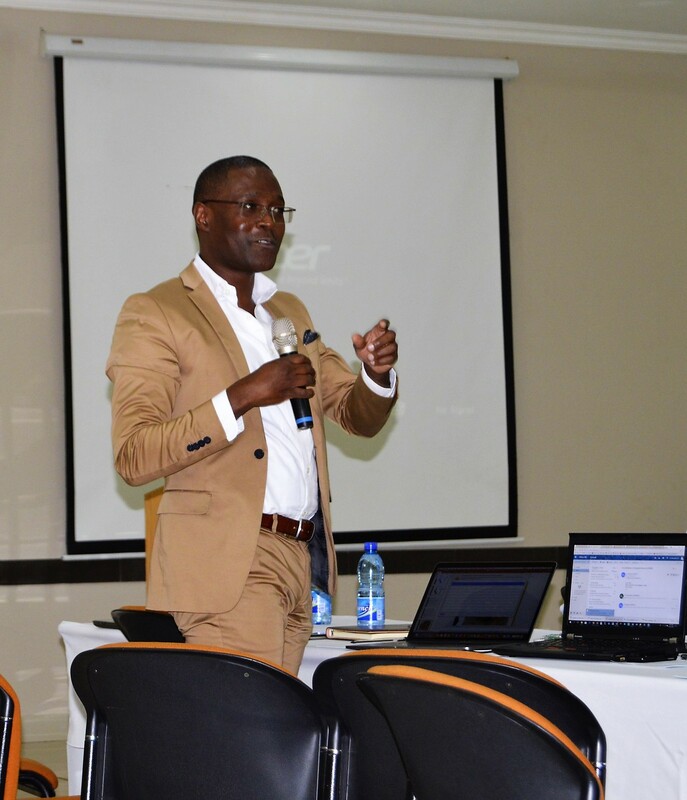 Felix Phiri, PhD student, University of Nottingham, speaking at the launching meeting of the GeoNutrition project in Lilongwe, Malawi, Janauray 2018. Our team is conducting baseline mapping and also studying the potential effectiveness of biofortification strategies to contribute to alleviating zinc and selenium deficiencies. Biofortification can improve the micronutrient content of crops through conventional breeding and application of micronutrient-containing fertilizers. In rural Malawi, where micronutrient deficiencies are very common, communities are hard to reach with supplementation and food fortification programmes. Therefore, interventions that act through agriculture are likely to play an important role in improving nutrition among many rural and marginalised groups. Our team is international. It includes Lilongwe University of Agriculture and Natural Resources (LUANAR), College of Medicine in Blantyre, and the Department of Agricultural Research (DARS) based in Malawi. Other project partners include scientists from Addis Ababa University, the lead partners in Ethiopia, the University of Nottingham, and nutritionists and clinical trial experts from the London School of Hygiene & Tropical Medicine (LSHTM). Other international partners are The International Maize and Wheat Improvement Centre (CIMMYT), the International Crops Research Institute for the Semi-Arid Tropics (ICRISAT) in Ethiopia; CIMMYT and the World Agroforestry Centre (ICRAF) in Kenya; and Rothamsted Research and British Geological Survey (BGS) in the UK. We are also working closely with colleagues in Zambia and Zimbabwe to develop new projects. One of the most exciting parts of this project is that it links Agriculture and soils with Nutrition. We all know that it is important to have a balanced diet wherever possible. However, it is only by understanding the links between what we grow and the food that we eat that we can start to really tackle both hunger (lack of food) and hidden hunger (enough food but lack of mineral nutrients). Interestingly, soils in southern and eastern Africa are many thousands of years older than most soils in Europe and North America. They are highly-weathered and can lack sufficient micronutrients to keep our crops, livestock and people healthy. We can improve our soils by incorporating organic matter and by applying balanced fertilizers to include micronutrients such as zinc. Whilst such solutions are conceptually simple, the ‘trade-offs’ in terms of investment priorities for farmers can be complex. Experts in agriculture and nutrition need to work together to best advise policy makers, extension services, and farmers. Pioneering breeding work, led by several of the CGIAR Centers and HarvestPlus, has increased the micronutrient content of crops including beans, maize, wheat, and sweet potato. New varieties of these crops now reach many people, for example, in Nigeria, Rwanda and Zambia. Micronutrient-containing fertilizers are routinely used in Finland to improve the nutritional quality of food crops. Our team is exploring if biofortification can be effective for improving human health at a national scale in Malawi including creating new, geographically-informed baselines. 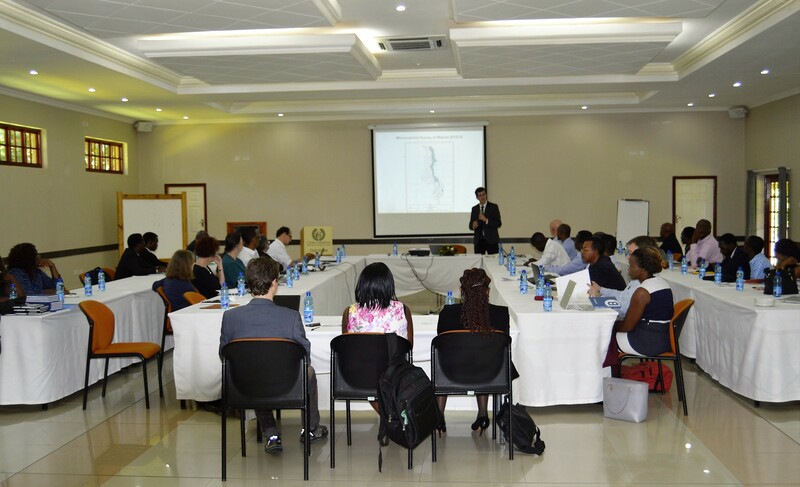 In addition to this exciting new research project, and studentships to be based in Malawi and Ethiopia, LUANAR and the University of Nottingham have recently launched a joint training programme to strengthen research capacity in Agricultural and Nutritional sciences through the award of joint PhDs. For more information, please contact Dr Patson Nalivata, Dr Alexander Kalimbira, or Professor Joseph Mfutso-Bengo. Pictured at our launch meeting is the guest of honour, the Vice-Chancellor of LUANAR, Professor George Kanyama-Phiri, together with members of the GeoNutrition project team. 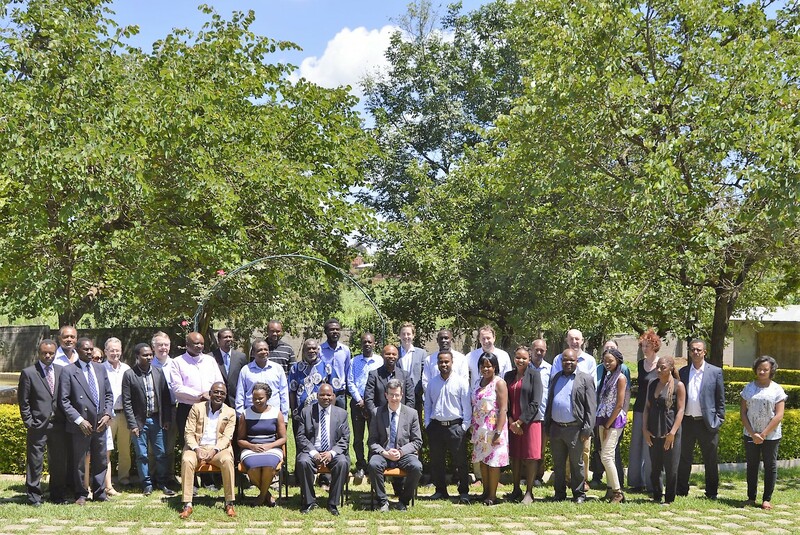 Participants of the GeoNutrition project launching meeting in Lilongwe, Malawi, Janauary 2018.